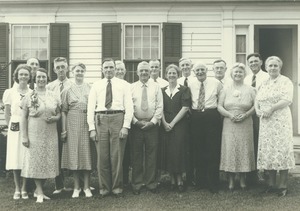 Possibly at their 25th reunion in 1929. 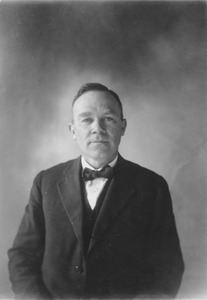 Portrait of Haskell, class of 1904, taken as an older man. 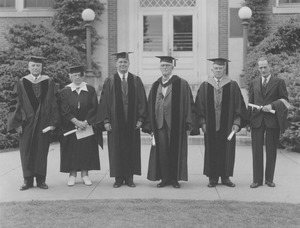 "Honorary Doctorate of Science commencement June 9, 1947" written on back. 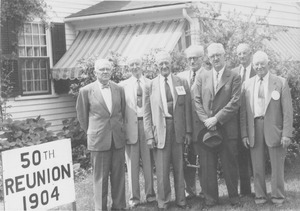 Several men, identified from l. to r. as Dr. Sidney B Haskell, Justin Kelliher, Adolf F. Haffenreffer, Dr. Raymond A. Quigley, George E. O'Hearn, Dr. Ernest A. Bach, and Sumner R. Parker at their 50th reunion in 1954. 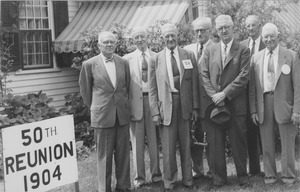 From l. to r. : Dr. Sidney B Haskell, Justin Kelliher, Adolf F. Haffenreffer, Dr. Raymond A. Quigley, George E. O'Hearn, Dr. Ernest A. Bach, and Sumner R. Parker at their 50th reunion in 1954. Portrait of Haskell, class of 1904, taken as an older man. 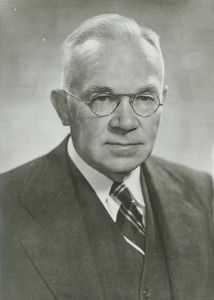 Formal portrait of Sidney Burritt Haskell (Class of 1904). 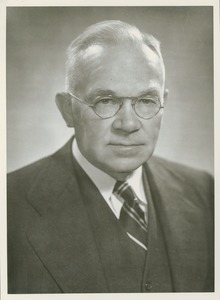 After graduation he went on to work with the Synthetic Nitrogen Products Corporation in New York and received a honorary degree of Doctor of Science from his alma mater in 1947.